JENNIFER LENTZ SNYDER is a 30 year veteran of the Los Angeles County District Attorney’s Office, currently serving as the Head Deputy of the Healthcare Fraud Division since 2013. Jennifer previously served for more than 12 years in the Public Integrity Division, where, among other duties, she headed the team of prosecutors involved in the investigation and criminal prosecution of the Bell City Officials, and conducted all Brown Act inquiries undertaken by the DA’s office. She prosecuted public officials for misappropriation of public funds, fraud, perjury and grand theft, including service providers under contract with the County of Los Angeles who billed for services that were never provided. Jennifer has successfully prosecuted scores of criminal cases, including dozens of gang-related homicides and public corruption crimes. Her collaboration with a joint FBI-LAPD task force resulted in the dissolution of the 89 Family Bloods, a notorious street gang with a penchant for killing witnesses. She was an active participant in the promulgation of the California Witness Protection Program, and has testified in Sacramento and Washington DC before congressional hearings on numerous occasions. Jennifer is a subject matter expert on the topics of Public Corruption crimes, the White Collar Crime enhancement, Asset Forfeiture, Criminal Insurance Fraud, and the Brown Act (California’s Open Meeting Laws). Jennifer is a member of the California District Attorneys Association Insurance Fraud Committee. She regularly provides training throughout the state for public agencies, law enforcement and public interest groups on a variety of topics. In 1997, Jennifer was named one of the top lawyers in the state by California Lawyer magazine. In 2011, Jennifer was again recognized as one of the top 100 Lawyers in California by the Daily Journal, California’s legal newspaper. She is a member of the California District Attorneys Association Insurance Fraud Committee, and participates on task forces and other collaborative efforts throughout the state targeting insurance fraud. For most of the past 18 years, she has been a facilitator for Project LEAD a program that brings prosecutors and law enforcement personnel once a week to a 5th grade classroom at a high-risk elementary school to present curriculum designed to educate 5th graders about the criminal justice system and the importance of making positive choices. 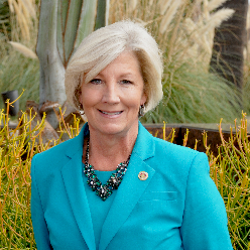 A 1978 graduate of UCLA, Jennifer completed her Juris Doctor degree at Pepperdine School of Law in 1988, and was an adjunct professor teaching Sentencing and Corrections Law and Trial Advocacy. Before she embarked on a legal career, Jennifer was a professional harpist, performing in concert, as a soloist and ensemble member throughout the country including gigs as the Genoa City harpist for the soap opera, The Young and the Restless, as a member of the orchestra with Doc Severinsen, Tony Bennett and Loretta Lynn, among others, and as a scholarship artist for the Young Musician’s Foundation.